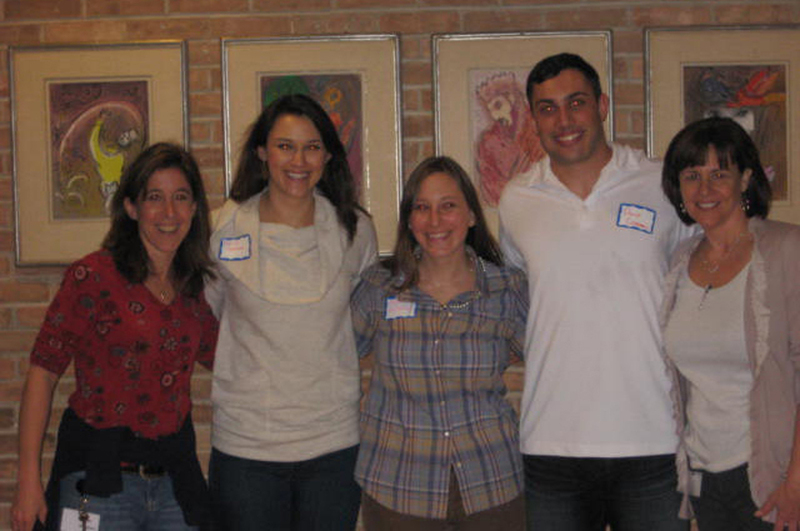 In an effort to broaden social justice programming as well as partner with Temple’s Caring Congregation, Temple Emanu-El Young Adults created Mitzvahs & Mimosas in 2007. Each year, there is an overwhelming response (now upwards of 50 people) for this event which involves preparing “Mitzvah Meals” for Temple’s members recovering from illness. What began as a small gathering in Tobian Kitchen now boasts a series of “stations” for soup-making, matzo balls, rugellach, cookies, challah and get well cards that extend from the kitchen into Tobian Auditorium. The 2012 co-chairs of Mitzvahs & Mimosas, Sharon Goldberg and Carlie Gotlieb, coordinated a group of young adult volunteers to manage each station: Jamie Barstein, Emily Beaver, Staci Bloom, David Cordell, Randi Gordon, Jennifer Hoffman, Jena Maharramov, Scott Price, Aron Siegal, Aaron Sonkin and Ashley Sonkin. An extraordinary Caring Congregation volunteer, Brenda Waters, works with the young adults in the kitchen. While mimosas provide part of the draw for the event, volunteers are busy at work making meals and cards on a Sunday from 11 a.m. to 2 p.m. Child care is provided for young families with children 3 months to 5 years. A highlight of the event each year is the opportunity to hear from someone who has benefited directly from Caring Congregation, which reaches Temple members in times of need and celebration, from birth until death, in times of sickness and health, and times of sadness. This year, David Cordell, who is connected with both Caring Congregation and the Young Adults community, spoke to us about his involvement in Temple’s Military Initiative. David teaches leadership courses with Air Force ROTC at University of North Texas. 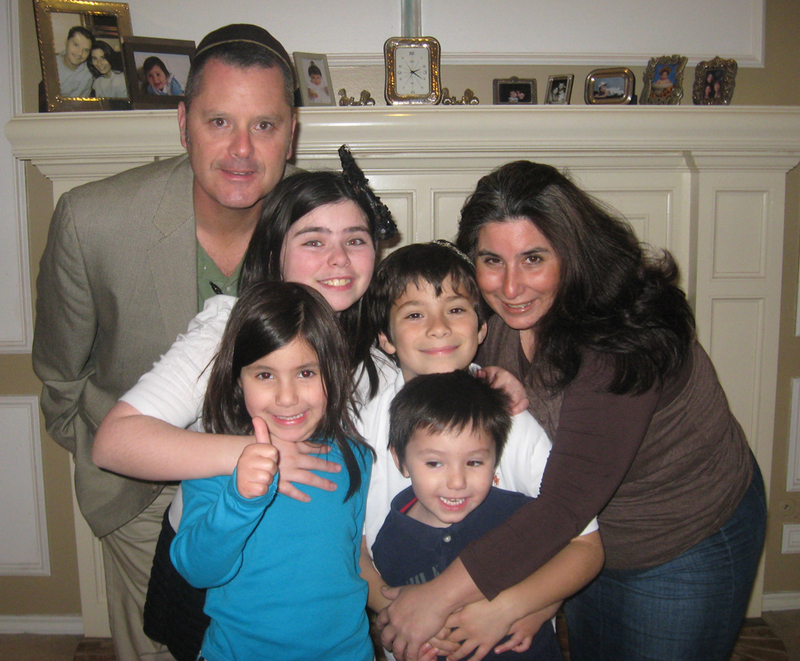 He has been involved in Caring Congregation’s Military Initiative by participating in Temple’s Veterans Day service honoring those in the military, by teaching about “Jews in the Military” in Temple’s religious school, and through support meetings for families of military members. David says these military initiatives of Caring Congregation have made him feel a part of a community at Temple: “What I lost in a military community, I’ve gained in the Jewish community.” We are thrilled that David has chosen to lend his talents to Temple in so many ways and grateful to have him as part of our community. All in all, the young adults community produced 30 delicious soups, 80 beautiful and cheerful cards, 400 cookies and rugelach, and several challahs which will go a long way to help heal those in the hospital and recuperating! For more information about the Young Adults community at Temple, please contact Mimi Zimmerman, Young Adults Coordinator, at mzimmerman@tedallas.org or 214-706-0000, ext. 166. For more information about Caring Congregation, please contact Peggy Papert, Director of Caring Congregation, ppapert@tedallas.org, or 214-706-0000, ext. 151. TTI Community Service Award recipients Sharon and Charles Michaels, with their children, (left to right) Shira 10, Esti 4, Rebecca 8 and David 6. It should be a spectacular evening on Feb. 26 when Texas Torah Institute holds its ninth annual Scholarship Banquet at the Renaissance Hotel in Richardson. 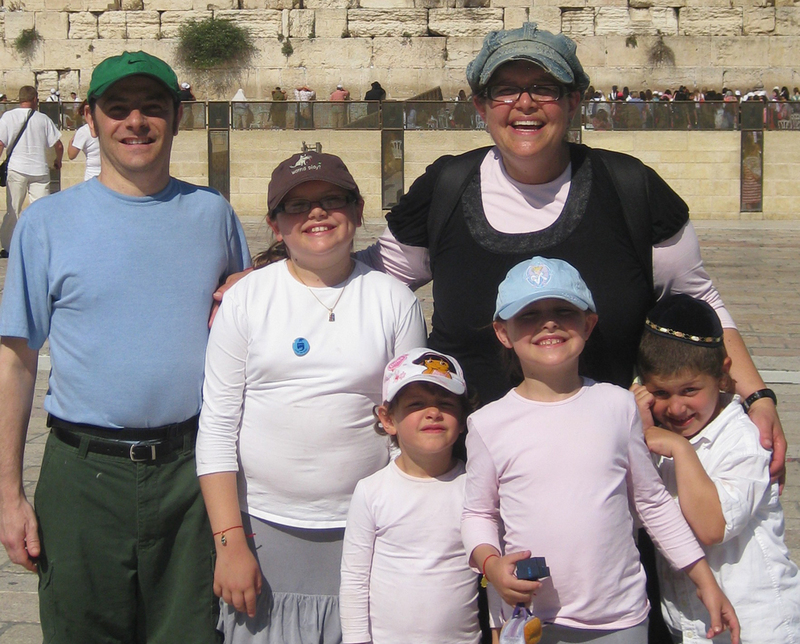 The school will honor Charles and Sharon Michaels with its Community Service Award; Travis and Ceci Katz with its Hakoras Hatov Award and Rabbi Yosef and Rachel Novoseller as Parents of the Year. Texas Torah Institute / Yeshiva and Mesivta of Dallas was established in 2003 as a Yeshiva high school and Bais Medrash. 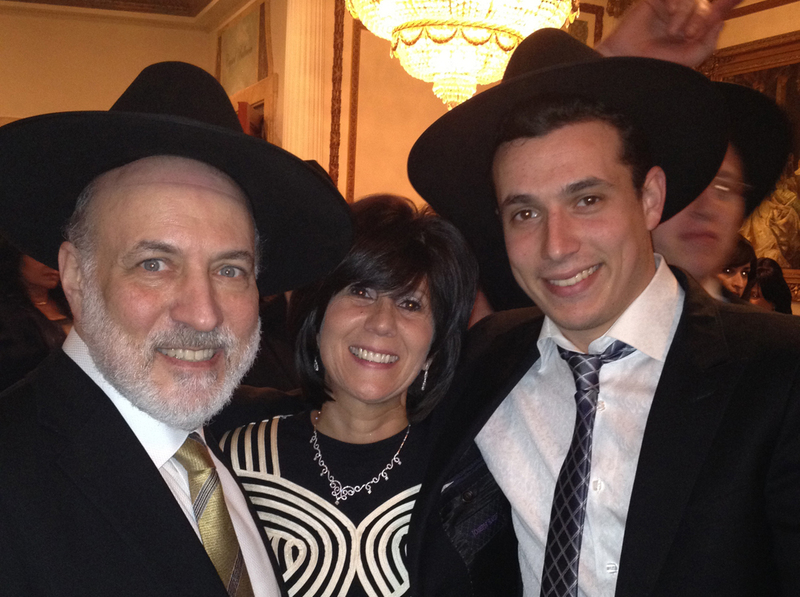 Founded with only eight students and two grades, the Yeshiva has grown to a full 7-year program with dozens of students from Texas and across the United States, Canada and Mexico. 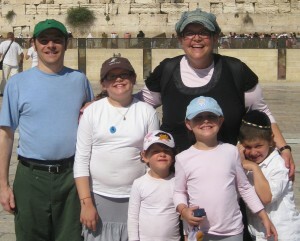 It has established itself with a reputation for excellence in its Limudei Kodesh program, college preparatory instruction, and extracurricular programs. The Yeshiva is under the guidance of Roshei Yeshiva, Rabbi Eliyahu Kaufman, Rabbi Shlomo Pacht, and Rabbi Daniel Ringelheim, and is one of over 70 global affiliates of Yeshivas Chofetz Chaim in Queens, NY. TTI campaign chair is Marcy Abadi Rhoads; dinner chairs are Gavin Kam and Ivan Sacks; journal chairs are Shane Stein and Aaron Yurowitz. For reservations for the evening, which are $150 per person, visit https://fs19.formsite.com/Rabbicohen/TTIBanquet/secure_index.html. This Sunday, Feb. 19 from 10:15 a.m. to 11:15 a.m., Robert Epstein will discuss the founding of the State of Israel. His talk, “Israel: David Ben Gurion, Theodor Herzl, Chaim Weizman” will be held at Congregation Shearith Israel, 9401 Douglas Ave. in Dallas.